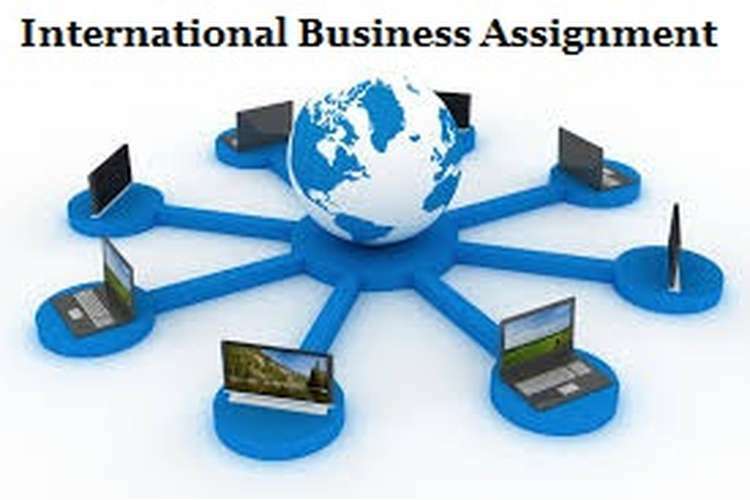 This international business assignment solution is processed on business development, in which we discuss relationship between ethics and international business, benefits and demerits of international business. International business is the situation when a business organisation performs their business activities across their country’s border in order to distribute their goods and services. International business gets benefited with the Globalisation as it renders effective opportunity to them. With the effect of the Globalisation the international trade barriers are falling and preference of buyers keep on changing. There is effective increase in the activities related to the import and export (Aldakhil & Nataraja, 2014). International business is the full-fledge cross boarder exchange of goods and services among two or more nations. The exchange among business goes beyond from the exchange of currency against the goods and services and it include various other international transfers such as intellectual property (such as brand, trademarks, patents, copyrights and data), contractual assets or liabilities (render services to foreign customers, etc.) and people. The business entities involved in the international business are basically large multinational organisations having thousands of employees who perform their activities within different countries (Webley, 2014). There is deep and natural relationship between the ethics and international business. Ethics deals with the factors such as morality in order to consider “what is right?” and “what is wrong?” In order to become ethical it doesn’t mean to follow the implied law every time. While taking some decisions if it feels uncomfortable then there is need of getting others involved in order to make collective use of knowledge and experience in order to make comfortable decisions. While making some decisions there is effective need of getting the facts along with this there is also need of evaluating the alternative actions (Aldakhil & Nataraja, 2014). Ethics in not religion, many people are not religious but ethics is implied over everyone. Being ethical doesn’t lead to follow the law because law may deviate from ethics. Law’s are prepared in order to safeguard the interest of some narrow groups. Benefits: International business leads to increase in earning foreign currency, lead to make optimum utilisation of their available resources, increase the people’s living standard, encourage industrialisation, develop the culture, bring stability among the product’s prices, increase the employment opportunities and increase the overall revenue of government (Webley, 2014). Demerits: International business also renders some demerits such as there is increase in competition level with their competitors as well as increase in rivalry among nations. There is high language problem which affects the business activities and it renders adverse impact over the home cottage industries. Lead to shortage of goods within the native nation due to the export of that particular good (Aldakhil & Nataraja, 2014). Aldakhil, A., & Nataraja, S. (2014). Environmental Factors and Measures that Affect the Success of International Strategic Alliances. Journal of Marketing Management, 5 (1) , 17-37. Webley, S. (2014). Towards Ethical Norms in International Buisness transactions. The Institute of Business Ethics , 3-36. OZ Assignment helps supply assignment help in Australia covering all the subject our evaluation is great support to student excelling in their assignment. Student can make career in professional writing. We will give you best evolution so that you assure you are getting good marks.